If you purchase a license of Best Folder Encryptor, you will receive a registration code, with which you can activate Best Folder Encryptor on one computer. While if you change a new computer, should you have to purchase a license again? Of course not. Then what should we do? In the new version of Best Folder Encryptor(v16.97), we added a new feature — Log Off. If you want to replace a new computer, and continue to use Best Folder Encryptor, please first log off in the software on your old computer. 1. 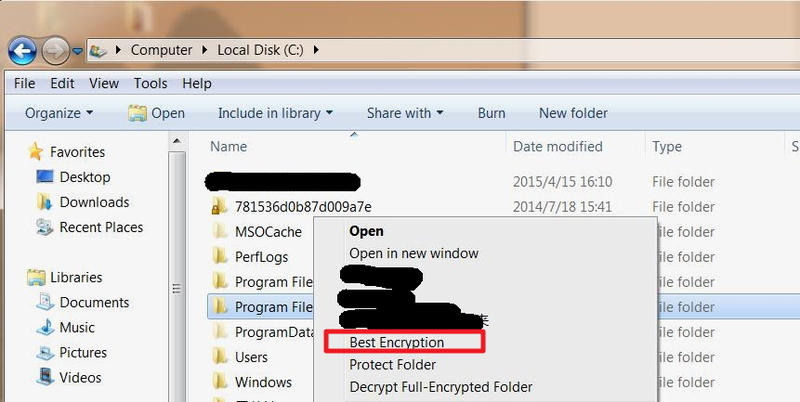 Launch Best Folder Encryptor, click “Help”, select “About Best Folder Encryptor”. 2. You will see the “Log Off” button. Click “Log Off” and wait for a moment. 4. Install Best Folder Encryptor on your new computer, and activate it with your registration code. The code is the one that you purchased before. Before you change the computer, please decrypt your encrypted files and folders on the old device, then transfer them to another computer. Please note that DO NOT directly copy or move the encrypted files to another computer. But, if your old computer has been crashed or lost, you cannot log off. What you can do? Please do not hesitate to get in touch with us at support@dogoodsoft.com, we will get you the help you need. It’s very common for users to set an admin password for the encryption software Best Folder Encryptor, which is safer for the encryption files. But, what if you forgot the password? If you can’t remember or retrieve the password, the encryption software will not be opened. At this situation, please read the following method to recover your admin password. 1. 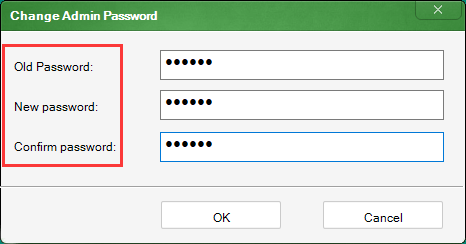 Launch Best Folder Encryptor, and you will see the window “Enter Admin Password”. 2. Enter SOS in the Password field(Letters are not case-sensitive), then click OK.
3. Copy and paste your registration key to the pop-up window, and click OK. Note: The registration key must be the one that you activate the software. 4. 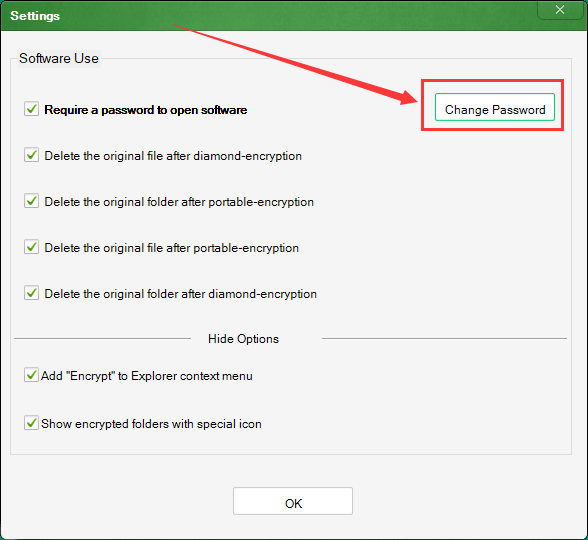 Now you can see your admin password and be able to open the encryption software Best Folder Encryptor. When you retrieve the admin password, you can cancel or change it. 1. 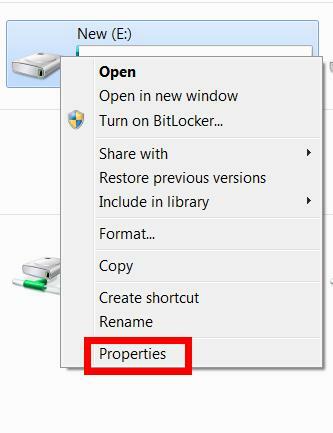 Open Best Folder Encryptor, click the Settings button. 2. Uncheck the box that says Require a password to open software. 3. Enter the admin password for confirmation, and click Ok.
4. Now the admin password has been cancelled. 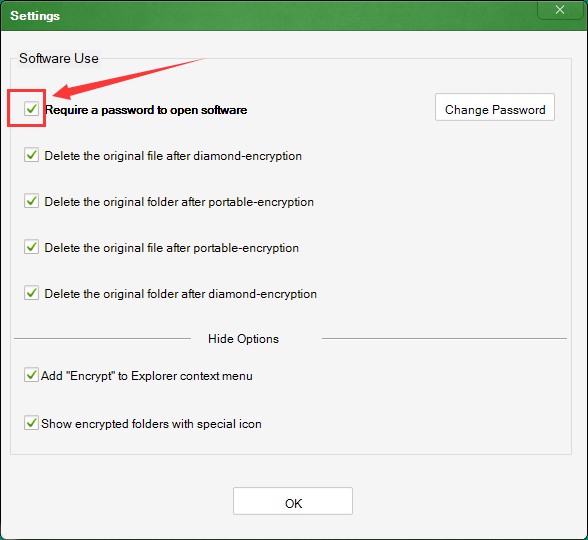 It is no longer need to enter the admin password before you open Best Folder Encryptor. 2. Press Change Password, enter your old password, and then your new password twice, and click OK.
3. Your admin password has been changed successfully. Apple’s fight with the FBI may be over for the time being, but this high-profile fight about user privacy and state security may have puzzled some smartphone users. When is an iPhone or Android device encrypted? And how does one go about securing the data on them? It’s pretty simple actually: as long as you set up a password or PIN for the iPhone or iPad’s lockscreen, the device is encrypted. Without knowing the access code, nobody can unlock it, which means your personal data including photos, messages, mail, calendar, contacts, and data from other apps, is secured. Sure the FBI can crack some iPhones, but only if they’re included in criminal investigations, and only if the recent hacks work on all iPhones out there. If you don’t use a lockscreen password, you should do it right away. Go to Settings, Touch ID & Passcode, tap on Turn Passcode On and enter a strong passcode or password. As CNET points out, things are a bit more complicated on Android. The newer the device, the easier it is to get it done. In this category, we have Nexus devices, the Galaxy S7 series, and other new handsets that ship with Android 6.0 preloaded. Just like with the iPhone, go to the Settings app to enable a security lock for the screen, and the phone is encrypted. With older devices, the encryption procedure is a bit more complex, as you’ll also have to encrypt the handset manually. You’ll even have to do it with newer devices, including the Galaxy S6 and Moto X Pure. 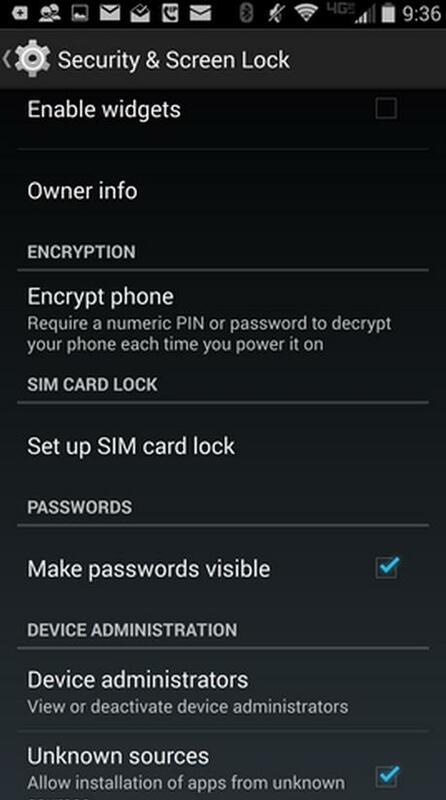 Go to Settings, then Security then Encrypt phone. While you’re at it, you may want to encrypt your microSD card as well, so data on it can be read on other devices – do it from the Security menu, then Encrypt external SD card. Once that’s done, you will still need to use a password for the lockscreen. CNET says there are reasons you should consider not encrypting your Android device, like the fact that a device might take a performance hit when encrypted. The performance drop may be barely noticeable on new devices, but older models and low-end handsets could suffer. Do your hats tend to fall into the tinfoil range? Are you afraid there is always somebody watching you? If so, rest assured that the Android ecosystem offers plenty of apps to soothe your paranoia. But which apps are the must-haves? Here are five apps you should immediately install and put to work. They’ll bring you peace in the knowledge that your mobile data is far more secure than those around you. Orbot Proxy with Tor (Figure A) is an open network that strives to prevent any form of data surveillance. Tor protects you by bouncing your communications around a distributed network run by volunteers around the globe. Not only does this help prevent prying eyes from spying on you as you use the internet, it also keeps sites from learning your physical location. 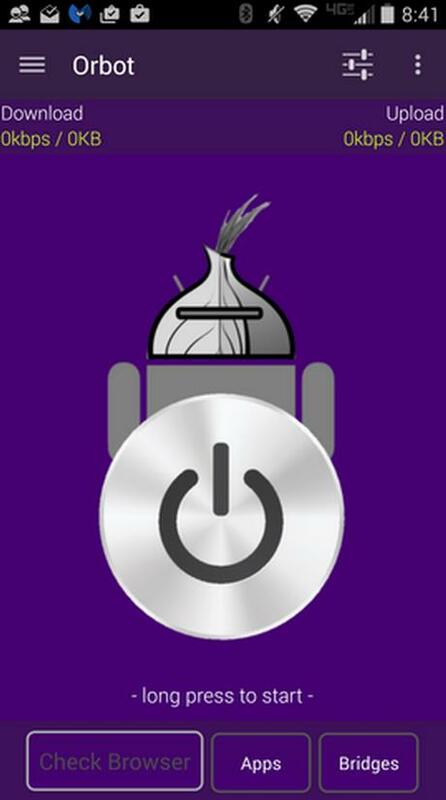 To use Tor on Android, your best bet is Orbot Proxy with Tor. Once you have it installed and connected, it will encrypt all internet traffic leaving your device. This is the only app that produces a truly secure and encrypted connection for your Android device. If you are really paranoid, you need Orbot Proxy with Tor. It’s free… what do you have to lose? CSipSimple (Figure B) lets you do encrypted SIP calling via your Android device. It’s open source and free, and it offers an easy-to-use Wizard for setting up the app. You are required to have an account on a SIP server, and I highly recommend using Ostel. It works seamlessly and has its own wizard for setting up the SIP account within CSipSimple. Even the Ostel account is free—so the only cost associated with this will be any data usage from your provider. You can set up CSipSimple to only use Wi-Fi, to avoid any charges whatsoever. 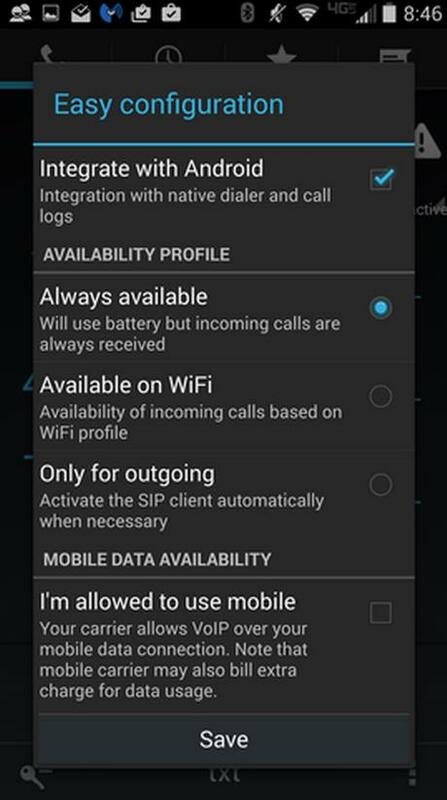 CSipSimple uses rewrite/filtering rules to integrate with Android and allows you to record calls. 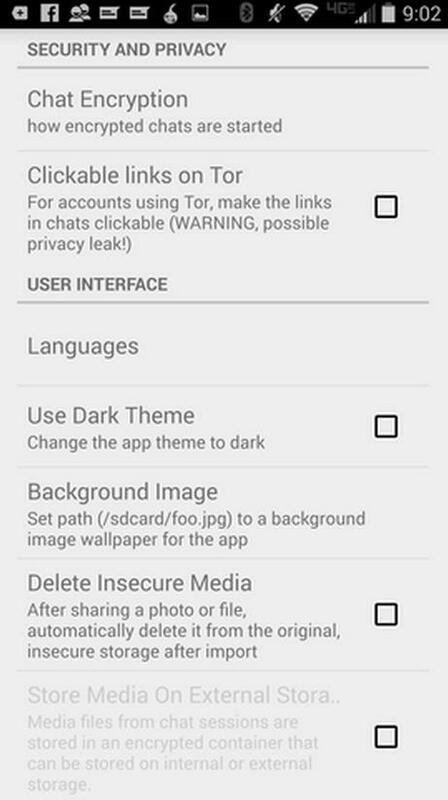 ChatSecure (Figure C) offers free, unlimited encrypted chatting on your Android device. You can chat over Google Talk/Hangouts, Facebook Chat, Dukgo, Jabber, and more. ChatSecure claims 100% privacy using state-of-the-art Off the Record (OTR) encryption. If you’re concerned about ChatSecure being blocked, you can use it in conjunction with Orbot to circumvent all firewalls and monitors. With ChatSecure, setting up an OTR session is simple. When you start a chat with someone, you can first verify the contact and then start the encryption. This app isn’t perfect. You might run into instances where the encryption won’t start or the connection with Orbot isn’t made. But should either happen, you can restart the app and try again. It doesn’t occur often, but when you’re dealing with the need for 100% security, you don’t want to use the app without the aid of Tor. K-9 Mail with APG (Figure D) encrypts email on your Android device. You must install both apps and set up APG, which will create a key pair to be used by K-9. Once you’ve created your key pair in APG, set up K-9 and it will automatically detect that you have APG installed and offer the option to sign and encrypt an outgoing email with a simple tap of a check box. 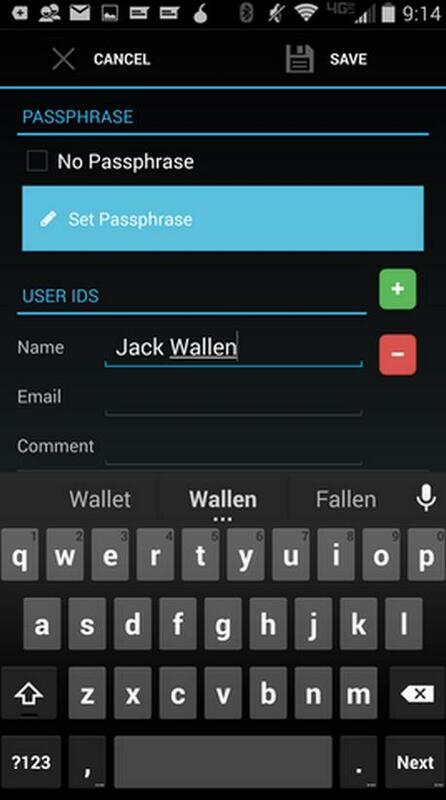 This is by far the easiest means of getting encrypted email on your Android device. One thing to remember is that all encryption keys are handled with APG—which lets you import keys created from other sources (even searching for public keys from key servers). Both apps are free. Use K-9 in conjunction with Tor and you’ll enjoy even more security. This option is for those who want to ensure the privacy of their device should it fall into the wrong hands. This built-in encryption system (Figure E) works with all data—including app data, downloaded files… everything on your device. Of course, this level of security does come with its drawbacks. First, older (or lower-end) devices might see a hit on the performance. (Newer and flagship devices shouldn’t so much as hiccup with system-wide encryption.) Second, you’ll have to enter the encryption password on every startup of the device—but that’s a small price to pay for this level of security. Pay it and be safe. Also understand that once you’ve encrypted your Android device, the only way to disable the encryption is to do a factory reset. Note: Android Lollipop defaults to device encryption. Do you already feel more secure? You should. Each of these apps does a great job of keeping your data away from prying eyes. But if you only have time for one of these tools, I’d highly recommend Orbot Proxy with Tor. It will ensure all of your device traffic is routed through a far more secure network. Error Code 5: Access Denied When Decrypt an Encrypted Folder? During the use of our encryption software, if you cannot decrypt the encrypted folders with error message Error Code 5: Access Denied, which was mostly caused by logic error in disk, what you can do is just to fix the disk. 2. 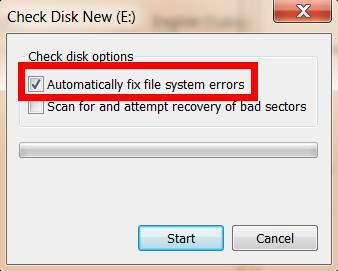 Choose the first option Automatically fix file system errors, and click Start. 4. The time for this operation depends on the size of your drive and files stored in it. After that, it will pop up such message. Once the drive is fixed, you can normally decrypt your encrypted folders, and the message Error Code 5: Access Denied does not appear any more. Recently, AT&T data leakage has led to 2.8 million of American customers’ private information revealed, including username, complete or partial social security number. AT&T agreed to pay a 25 million civil penalty to deal with the survey by FCC about the issue of violating customer privacy. Even though the case was settled, what it brought about cannot be made up for. With the advent of the era of “Big Data”, the issue data leakage becomes more serious. The business can find all of our information easily, which is extremely horrible. So how to protect our information from prying eyes under the network environment? Network is a virtual world, and we should strengthen the awareness of privacy protection. Do not register on some websites randomly, because it is always the users himself lost their own information. Meanwhile, develop self-protection consciousness is also important. Install legal antivirus program and firewall to avoid the hackers stealing your private files and properties. When shopping online, you must check the security of the link. Developing the good habit of network use can prevent your information from prying eyes efficiently. The leakage of private information under the network environment, sometimes is caused by someone’s interception and the problem happened in the transition. Here we can use the computer hardware technology to deal with. We take Best Encryption Expert as an example, to learn how it to protect your data security? It is very easy to do, even if you are a newbie, you can do it by yourself. 3. Set your password, and select an encryption type, then click “OK”. Only by relying on the science and technology, we can ensure the security of our information, like Firewall Technology. You can set a wall between the public and special network as required, to prevent hackers from attacking. In a word, we should regard the network information technology completely. On the one hand, it is convenient for people to work and study; on the other hand, the unsafe factors also exist, which threatens the security of personal information. The most intelligent thing is to use a professional encryption software to encrypt your private information. 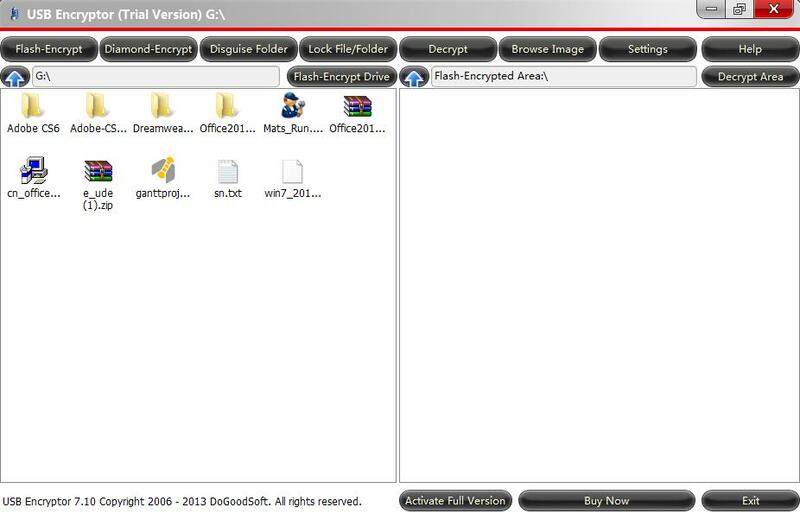 How to Encrypt Data on Portable Hard Drives with Encryption Software? In recent years, portable hard drives play a major role in the field of data storage, so people pay more and more attention to its security. Just think of that you stored all of your personal documents, private images, user info and other important data on a normal portable hard drive, which is unavoidably stolen or lost. Portable hard drives, as a common storage medium, have been widely used in various aspects. So how to safely use portable hard drives with private data stored? If you want to ensure the safety of data on portable hard drives fundamentally, you are suggested to encrypt the portable hard drives. Thus even your original data is illegally accessed by others, if the encryption algorithm is not broken, the stolen data cannot be read directly, and the danger of data misuse can be reduced as well. Portable hard drives encryption is to run certain encryption software in operating system to complete the encryption and decryption of data. The encryption is so easy that it can be realized economically. 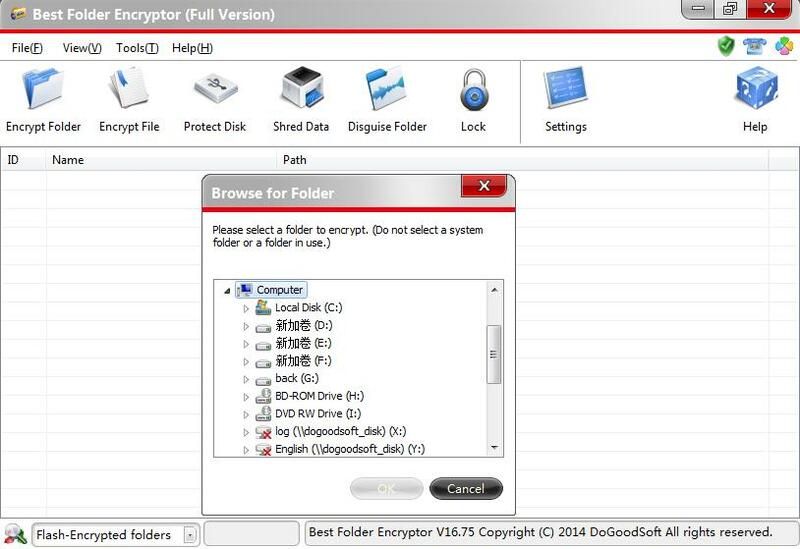 Here a professional encryption software for portable hard drives is highly recommended, that is USB Encryptor, which can encrypt files and folders in USB drives and portable hard drives, shared folders are also included. Besides, this software features perfect removability, superfast encryption and decryption, and high encryption strength. With the advanced encryption algorithm, the encryption on your files and folders are super strong, so the security of your encrypted data can be ensured. It is easy to encrypt data on USB devices, and the USB device can be accessed on any computer without installation again. When the file or folder is encrypted in portable hard drives, it will be carried to anywhere and visited anytime. 1. Download USB Encryptor from official website (www.dogoodsoft.com), and unzip the ude.exe file to the place where the data to be encrypted is stored. 2. Set the software password (the default password for trial version is 888888, the full version user can change it as you wish), and click “OK” to enter the main window of software.The top of window is the functional area, below are two lists – the left displays the files and folders in disk with no encryption, the right are the encrypted file and folders.The top of window is the functional area, below are two lists – the left displays the files and folders in disk with no encryption, the right are the encrypted file and folders. When encryption, you can choose to Flash-Encrypt Drive, so all of your files and folders will be transferred from left list to right, that is, all these data have been encrypted except for ude.exe file and some system folders. If you need to use the encrypted data, just double click the specified file or folder in Decrypt Area, and it will be opened automatically. Kindly note that if you want to protect the data on portable hard drives, first you should choose a good-quality portable hard drive, next is to use a professional encryption software. 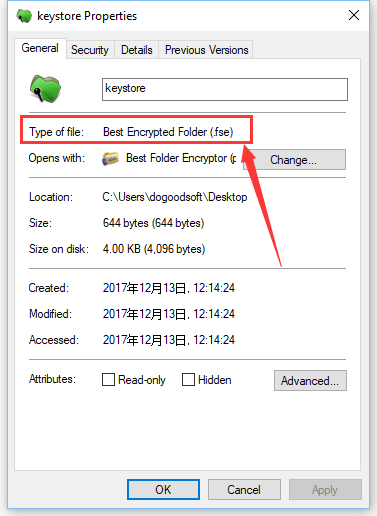 How to Encrypt Folder in “Encryption Year”? Recently, the president of United States Barack Obama called himself “a firm believer of strong encryption” when he visited Silicon Valley. Although some people criticized Obama for vague statement, the actual networking environment is really worrying, and the data security is more of concern, so data encryption appears to be more important. That is someone regards 2015 as an “Encryption Year”. When it comes to encryption year, we talk about how to better encrypt folders in the new year. Want to encrypt folders on computer? First we think of is to choose a high quality of folder encryption software. 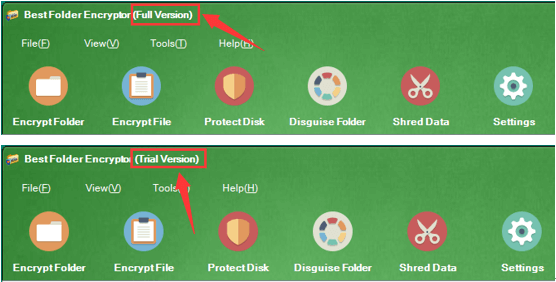 As a professional folder encryption software, Best Folder Encryptor owns powerful features but with user-friendly design, any computer users can run it easily. 1. Perfect self-protection, it is copy-, remove- and delete-proof. 2. With advanced-encryption algorithms, the encryption on the files and folders is super strong. 3. Easy to use, anyone can grasp it in a short time. 4. Multiple features such as folder encryption, file encryption and disk protection. It works normally in all Windows systems. 5. 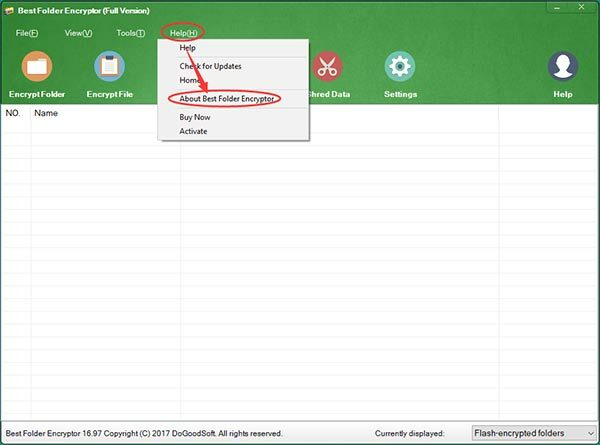 As long as a file or folder is encrypted by Best Folder Encryptor, even it is transferred to other devices, the file or folder still remains encryption status. Notes: There are 5 encryption types set in Best Folder Encryptor – Flash encryption, Hiding encryption, Full encryption, Diamond encryption and Portable encryption. Flash- and Hiding encryption are well known as fast encryption and decryption, and take up no extra disk space, which is very fit for oversize folders encryption. Full-, Diamond- and Portable encryption use the advanced encryption algorithms to encrypt folder, so the encryption on your folder can be super strong. It is good to encrypt those important folders. Encrypt your folder, protect your data, and have a good time! Maybe you worried about someone copies your files when you forget to take off your USB. Maybe you waste time in copying the files in your USB and formatting the USB before lending it to your friends. Now, I will recommend an encryption software, USB Encryptor, to you. The encryption by USB Encryptor is highly secure and strong. You can rest asscured. As elite encrypting software, USB Encryptor can encrypt all or any specific data in a portable storage device (a USB flash drive, removable drive, memory card or a memory stick) in just seconds. You can also choose to decrypt all files and folders, or only those you need, at the time of decryption. 1. Download USB Encryptor into your USB. 2. 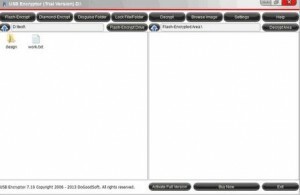 Choose the file/folder requiring flash encryption from the file list in the left of main interface. 3. Click “Flash Encrypt”, or choose files/folders with the right mouse button, and then select “Flash Encrypt”. After that, the encrypted files/folders will instantly disappear from the disk and be transferred to flash encrypted area. 4. Or select “overall flash encryption” in the pop-up window, and all files/folders in the USB will instantly disappear from the disk and be transferred to flash encrypted area in the right of main interface. USB Encryptor is a user-friendly green software, easy and simple to use. This software will offer 15 registration codes, and each code corresponds to one disk partition ,which embodies humanization and is different from other similar domestic software. Once forgetting the password of files/folders encrypted by diamond encryption, there is no way to decrypt these files/folders.